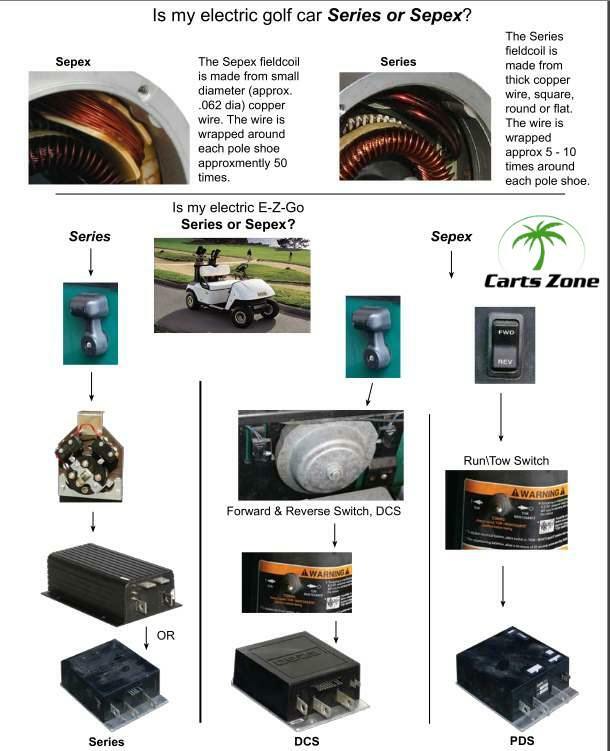 Guide with pictures to show if your ezgo is Series or Sepex(regen). Also if its a regen which version DCS or PDS. The guide is correct on all but a few carts made in 2000-2001 that the F&R looks like a DCS sytem, but the controllers is a 10 pin PDS. Thanks a lot. Very good explanation and easy to follow. Could this become a sticky? I see this guide in the cc forum as a sticky. I had to dig pretty deep to find it, and it is the most simple way for us newbies to identify and understand what type of cart we have. Thanks. Bump. Can't someone please sticky this? It comes up 2-3 times a week..